How do I file an unemployment claim as a federal employee? 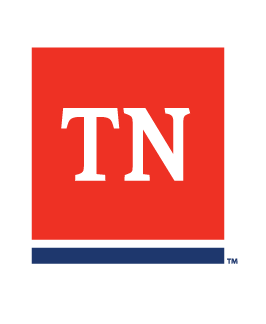 Federal employees can complete the application process for unemployment benefits on the state's workforce development website, www.Jobs4TN.gov. This is also the website where claimants complete their weekly job search certifications to receive payments. Can I file a federal claim if I am furloughed? If the state approves an application for benefits, unemployment claimants must certify online each week they are available to work. The state also requires they conduct online job searched in order to receive benefits. What happens after a shutdown if I am paid back from the time I was furloughed? What is the waiting week for unemployment benefit payments? The first week a person certifies for benefits is considered their waiting week and the claimant will not receive money. The state pays the waiting week after a claimant completes four consecutive weeks of certifying for benefits. Why does my determination letter say "Monetarily Ineligible"? Your Monetary Determination letter will not have your wages from federal employees listed. It is normal for your Monetary Determination to state "Monetarily Ineligible" as a different process is required for retrieving your wages from federal agencies. You should NOT file a wage protest if you were federally employed. A determination about your eligibility for benefits can only be made after we receive documentation about your separation. What documents are needed to determine eligibility? Please submit either a Standard Form (SF)8 or 50 if you received one from your agency and an Earnings Statement, most recent paystub from 2018, or your W-2 from 2017 and 2018. Providing an SF-8 or SF-50 is not required but can help to speed up the processing of your claim. If you received a furlough letter rather an SF-8 or SF-50 please submit that to us. Documents can be submitted to Federal.Unit@tn.gov or by fax to 615-253-7584. It typically takes 21 days to process individual unemployment claims and receive a decision. Due to the government shutdown, a delay in the verification process may occur causing processing times to take longer than the usual 21 days. More information about claim processing times can be found here.